Explanation: Where do stars form in galaxies? One way to find this out it to look for glowing hydrogen, a material common to hot star-forming regions. 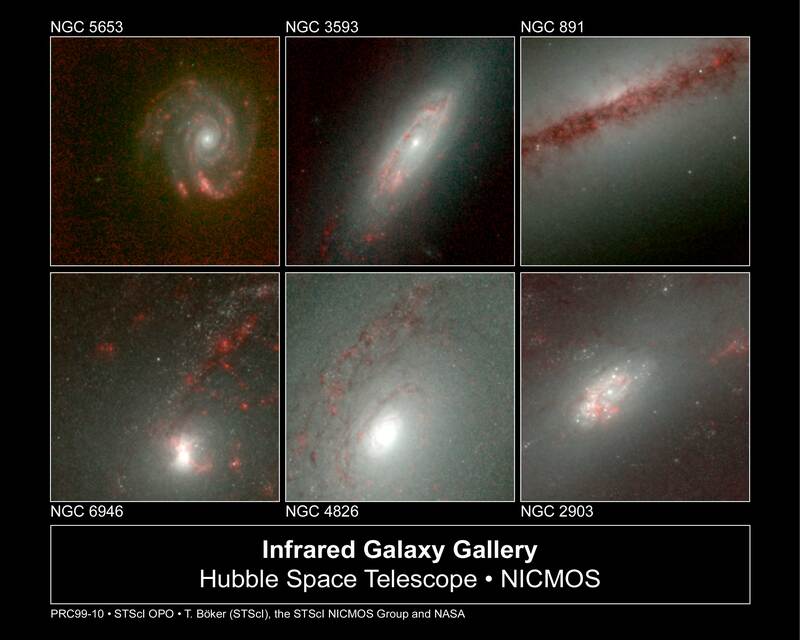 To find large areas of glowing hydrogen, the Hubble Space Telescope's NICMOS instrument surveyed about 100 nearby spiral galaxies. 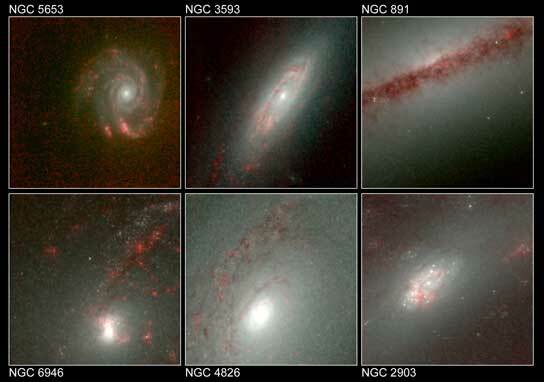 Six of these galaxies are shown above: NGC 5653, NGC 3593, NGC 891, NGC 6946, NGC 4826, and NGC 2903. Each galaxy is many millions of light-years distant. NICMOS was calibrated to isolate a very specific type of light emitted by hydrogen gas in the infrared. This emission is colored red in the above photograph, and is relatively free from absorption by dark dust. These photographs show that stars are forming more vigorously in some parts of galaxies than others.